Enjoy contemporary elegance in this spacious Junior Suite with stunning river view. The room contains a big-sized bed and a work area. As well as the latest smart features including a 32-inch LED TV, a 50 Ltr. Small fridge with cold drinks, Wafers, Mineral Water and soft drinks. A tea set helps creates an authentic experience.Vitrified wood finishfloor. 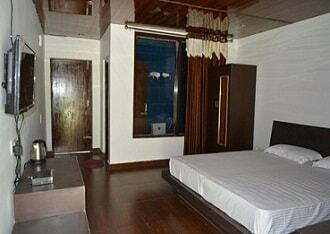 Deluxe Rooms at the S B Mount resorts are extremely moder gardeen rooms having modern interior and luxisirious suites. 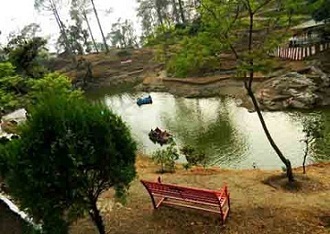 S.B.Mount Resort, Lansdowne, is a scenic place with comfortable accommodation. The simple furniture, great ambience and necessary amenities. Which suit the requirements of the mostly travellers. One can also visit the popular tourist destinations and explore the beauty of the area while staying at our hotel. 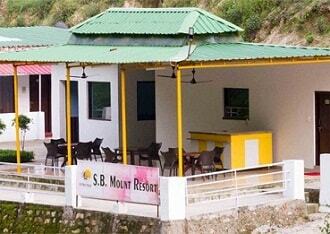 First of all S.B.Mount resort offers fine accommodation facilities and good services to the visitors. There are well spacious individual rooms. We have only rooms designed in the Cottage form . There is absolute colourfull all around the resort as a result it truly the right option in Lansdowne Hills. Jolly Grant Airport is 146 kilometres from the resort, whereas Kotdwar Railway Station is 40 kilometres away. In additon there are numerous places of interest. Some of are Santoshi Mata Temple, Garhwal Rifles Museum, St. Mary Church, Bhairav Garhi Temple and Bhulla Lake for Boating. We are one of the best hotels in Lansdowne. All the rooms of S.B.Mount Resort have been design in that, balconies give a complete view of the hills. A view which can beat all the views. our rooms inculdes breathtaking beauty of the sunrise and the sunset. That will never be lost on the occupants. Even if they are not out trekking at that time of the day. Look down a little from your balcony. And the mesmerizing Jim Corbett national park will be visible in all its glory. If you chose to conduct business in Leisure. 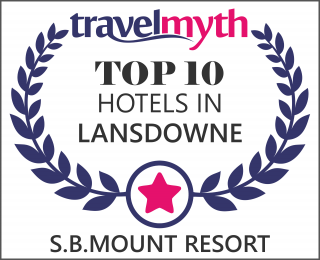 Lansdowne's S.B.Mount Resort is just the perfect place for you. A multicuisine experience with comprehensive entertainment package. Which complement our guests. One visit, and you will be compelled to come every year as our honoured guest. At S.B.Mount Resort it will always be our pleasure to receive you. In Additon to Keep you with all comforts, and see you off after a holiday that `made your days' at Lansdowne.